Bullzeye Burdekin RUM Weekend Supporter Cap High-quality Bullzeye manufactured caps embroidered with our Burdekin RUM Weekend logo. Available in Grey or Pink, these hats are not only a great way to show your support, the attention to detail that comes from this trusted country clothing brand ensures they are comfortable and made to last. 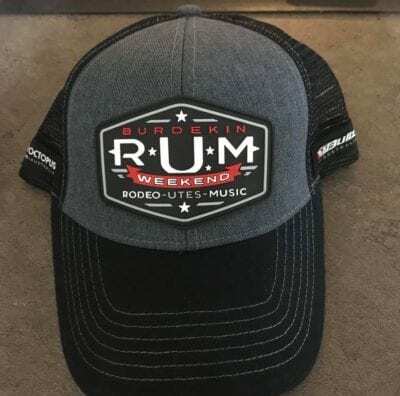 High-quality Bullzeye manufactured caps embroidered with our Burdekin RUM Weekend logo. Available in Grey or Pink, these hats are not only a great way to show your support, the attention to detail that comes from this trusted country clothing brand ensures they are comfortable and made to last.